Three Star Flea Market. 2390 S. Orange Blossom Trail. Highway 441. Opens at dawn and runs until dark. Free adm, ample parking. Outdoor market with antiques, collectibles, new and used merchandise, coins, crafts, produce and lots of general flea market goods. Approx 50 vendors. Space from $10. per day. Snack bars, restrooms, h/a. c/p Mary Anderson, 2390 S. Orange Blossom Trail, 32703-1870. (407) 293-2722.
International Market World. 1052 Highway 92. West. Hours 8am-5pm. Ample parking. Halfway between Orlando & Tampa. Average weekend attendance of 10,000. Approximately 500 dealers. Wide range of merchandise. New merchandise, imports, gifts, souvenirs. Some antiques and collectibles, lots of decorator items, crafts, art. Mountains of used and garage sale items. Approx 800 plus dealers. Inside and outside space available from $40. This is an excellent market for the commercial vendor. Plenty of food. restrooms, h/a. c/p International Market World. 1052 Hwy 92 W. 33823. (941) 665-0062. Fax: (941) 666-5726. The Market of Marion. 12888 SE US Highway 441. Hours 8am-4pm. Average daily attendance 15,000. Approximately 700 booths, under cover. 100 booths inside. Large wide open commercial market with new trendy merchandise to quality collector items. Food, restrooms, h/a, entertainment. This is a nice, clean, well managed market and a pleasure to visit. Camping nearby. Average daily attendance, 15,000. Space from $7 on Friday to $13 on weekends. c/p Manager, 12888 SE US Hwy 441. 32620. (352) 245-6766. Fax: (352) 245-8353. Flea City USA. 12180 Hwy 441. One mile south of town. (352) 245-3532. Flamingo Island Flea Market. 11902 Bonita Beach Road. Bonita Beach Road and I-75. Hours: 8am to 4pm. New market. Indoor market with approx 200 dealers. Antiques, collectibles, new merchandise, crafts, furniture, lots of jewelry, sportswear. Space by the month. Restaurants, restrooms, h/a. c/p Glenda Farrow, 11902 Bonita Beach Rd, 34135. (941) 948-7799 or 495-9500. Fax: (941) 947-7882. Red Barn Flea Market. 1707 First Street East. (Route 301 and 41). Hours 8am-4pm. Ample parking. Approximately 500 booths. Lots of new merchandise, gifts, souvenirs, imports, tools, clothing, toys. Used merchandise, collectibles, crafts, country and farm items. Space from 418. Outdoors and $25. covered. Snack bar, restrooms, ample parking. Inside and covered booths. Shops at market are open daily. (941) 747-3794 or (800) 274-FLEA. Fax (941) 747-6539. Roma Flea Market. 5715 - 15th Street East. Highway 301. hours: 8am to 4pm. Indoor/outdoor market with approx 50 dealers. Snackbar, restrooms, h/a/ (941) 756-9036. McCormack Flea Market, Inc. Highway 19 N. 98 and 27A. Hours 7:30-4pm. Ample parking. Average attendance 2,000 daily. Approximately 50 dealers. New merchandise, used items, crafts, art, produce, antiques, collectibles, bric-a-brac. Market has several individual specialty shops, bakery, leather, carpets, etc. Restaurant and snack bars. Camping available. This is a terrific market that always has a lot of interesting booths. 200 spaces, electricity and water. Space from $6. c/p Jack McCormack, Box 1970. 32626. (352) 493-2022 or 493-1491. Fax: (352) 493-9907. Forty Niner Flea Market. 10525 - 49th Street North. (813) 473-3367. Old Timers Flea Market. Highway 301, South of Highway 98, 5 miles North of town. Ample parking. Approximately 100 vendors. New merchandise, housewares, electronics, sportswear, used merchandise, collectibles, country and farm items, crafts, produce. Snack bar, clean restrooms, h/a. Inside and outside space available from $3 outside. Camping and shower's available. Camping and RV park. (352) 567-5085. Daytona Flea Market and Antique Showplace. 1425 Tomka Farms Road. Southwest corner of U.S. Highway 92 and I-95. One mile west of the speedway. Hours 8am-5pm. Ample paved parking and miles of walking. Over 800 vendors and an air-conditioned Antique Showplace with 100 galleries. Market is located on 40 acres. Excellent year round market. Highly recommended for the travelling dealer. Strong attendance. During Speed Week and Spring Break this is the place to be. Wide range of items here. The Antique Showplace has an excellent assortment of goods. Outside, new, imports, gifts, used, produce, crafts, art, some really nice pieces. Lots of bric-a-brac. Good food available here, clean restrooms, h/a. This is a very complete market. I could live right here at this market and be a very happy camper. Covered space available from $8. c/p Robin Ruenheck, P. O. Drawer 2140. 32115. (904) 253-3330. Fax: (904) 253-2347. Volusia County Farmers Market. 3000 E. New York. Ample paved parking, and miles of walking required to see this market. Approximately 450 dealers. Excellent weekday market. Never ending variety of goods at this market, from pure junque to absolute treasures are here if you can spend the day poking in the 100's of booths. Commercial vendors note that this is one of the best weekday markets in Florida. Food available, restrooms, h/a. Indoor and outdoor space available. c/p Harley Cultip, (904) 734-1614. Delray Indoor Flea Market. 5283 W. Atlantic Ave. I-95, Exit 42, west three miles. Hours 9am-5pm. Ample parking. Approximately 125 exhibitors. New market that is restricted to new merchandise, gifts, souvenirs, imports. Lots of designer clothes and sportswear, selection is as good as any factory outlet mall with a lot better prices. Snack bar, restrooms, h/a. c/p Edina Frankel. 5283 W. Atlantic Ave. 33484. (561) 499-9935. Florida Twin Markets. Highway 441. Ample parking. Indoor/outdoor market with approximately 400+ dealers. Good selection of antiques from furniture to smalls. Always lots of quality dealers with good collector lines. New merchandise. Great selection for the collector or decorator. Snack bar, clean restrooms, h/a, miles of walking. Inside and outside space from $28. c/p Twin Markets, Box 939, Zellwood, FL 32798. (904) 383-8393. Lake County Farmers Market. Fairgrounds. 2101 Highway 452-A. Ample parking. Excellent weekday market. Produce, new merchandise and some collectibles. Wide range of dealers each week at this market. Food available, restrooms, h/a. (352) 357-9692. Thunderbird Swap Meet. 3121 W. Sunrise Blvd. Hours 7am to 6pm. Admission charged. Ample parking although there is a tremendous amount of walking required at this market. Approximately 1,500 dealers. One of the great markets of the South. Entertainment, live music, auctions, food and bingo are all a part of this market with every conceivable type of merchandise sold here. Tremendous selection of food, 15-17 restaurants/cafes. This market is a vacation within itself. Lots of fun shopping this market because of the entertainment, bargains, unusual items and great treasures. c/p Thunderbird Swap Meet. 3121 W. Sunrise Blvd. 33311. (954) 791-7927 or (800) 345-SWAP. Fax (954) 792-7962. Oakland Park Boulevard Flea Market. 3161 W. Oakland Park Blvd. I-95, exit Oakland Park Blvd. Hours 10am to 7pm. Ample parking. Indoor market with tremendous selection of new merchandise. Everything that you would find at a discount store but at a lot better prices. Approx 200 dealers. Space rented by month only. Snack bars, restrooms, h/a. c/p Leonard Bennis, 3161 W. Oakland park Blvd, 33311. (954) 949-7959. FT PIERCE - - SAT & SUN. Biz-E-Flea Market. 3252 N. US Route 1. Between Vero Beach & Ft Pierce. Ample aprking. Antiques, collectibles, new merchandise, lots of used merchandise & flea market goods. Space from 48. Snack bars, restrooms, h/a. c/p Irma Partridge, 3252 N. US Rt. 1, 34951. (561) 466-3063. Frontenac Flea Market. US Highway #1. Between Titusville and Cocoa. Hours 8am-4pm. Ample parking. Attendance 15-20,000 daily. Approximately 1,000 dealer spaces, with approximately 400+ dealers on a given day. Good selection of merchandise here, lots of new merchandise, especially clothing and sportswear. Lots of sports related merchandise. Great vacation area. Plenty of food, clean restrooms, h/a. One of the better markets in Florida. Wide range of items at this market. Popular stop for the traveling dealer. When I am in the area I never fail to stop at this market. I have made some good buys here over the years. Space from $13 per day outside. Camping available and several campgrounds nearby. Mike Christian, Box 10, Sharpes, FL 32959. (321) 631-0241. Fax: 631-0246. North Lake Flea Market. Highway 441 and 27 East. Ample parking. Average daily attendance 2,500 with approximately 150 dealers. New merchandise, sportswear, imports, housewares, tools, electronics, outdoor and sporting goods. Used merchandise, garage sale items, collectibles, farm and ranch items. Crafts, produce. Restrooms, snack bar w/breakfast, h/a. Outdoor market. (904) 326-9335. The Flea Market. 5760 Gulf Breeze Parkway. Hwy 98. 15 miles east of Pensacola. Ample parking. Outdoor market, antiques, collectibles, crafts, lots of new and used merchandise, produce. Approx 300 dealers. Space from $15. per day. Snack bars, hot meals, restrooms, h/a. c/p Audrey Thompson. 5760 Gulf Breeze parkway. 32561. (850) 934-1971. Sunshine Flea Market. 2815 Sunset Blvd. Ample parking. Market averages 250 dealers each weekend. New and used merchandise. Gifts, imports, souvenirs, collectibles, crafts, produce. Good variety of new merchandise here. Snack bar, restrooms, h/a. Inside and outside spaces. c/p Charles Stumm. (727) 863-1805. Playtime Drive In Flea Market. 6300 Blanding Blvd. Hours 7am-4pm. Average daily attendance 5,000. Approximately 350 dealers. Large commercial Florida market with wide range of dealers selling all types of new merchandise, used merchandise, collectibles, crafts, produce. Snack bar, restrooms, h/a and lots of walking. Space from $3. c/p Jack Hagerty, 6300 Blanding Blvd. 33210. (904) 771-9939. The Bargain House of Fleas. 6016 Blanding Blvd. Free adm, ample parking. Indoor & outdoor market. Antiques, collectibles, furniture, produce, crafts, new and used merchandise, lots of general flea market goods. Approx 250 dealers. Space from $7. Snack bar, restrooms, h/a. c/p Matthew Skenes, 6016 Blanding Blvd, 32244. (904) 772-8008. Beach Boulevard Flea Market. 11041 Beach Blvd. Hours 8am to 5pm. Free adm, ample parking. Outdoor market with lots of covered spaces. Some antiques, collectibles, furniture, crafts, jewelry, produce, lots of new and used merchandise. Space from $10. Restaurant, snack bars, restrooms, h/a. c/p Charles Burchette, 11041 Beach Blvd, 32246. (904) 645-5961. The Market Place. 6839 Ramona Blvd. Hours 8am-5pm. Admission charge. Ample parking. Average attendance 20,000 per weekend. Approximately 1000 dealers. Great selection of merchandise here, new, imports, sportswear, sports merchandise. Antiques, furniture, silver,coins, collectibles, glassware, silver, jewelry (both fine and costume). Produce, crafts, fine art. A full day's stop with a lot of walking required. Full service restaurant on premises. Restrooms and a wonderful beergarden, h/a. Space starts at $6. Overnight camping. c/p Richard Waller. (904) 786-3532 or 786-1153 or 786-FLEA. The Jacksonville Market Place. 614 pecan Park Road. I-95, Exit 128. . Hours 8am to 5pm. Adm charge. Ample parking. Average daily attendance 10,000+. Approximately 700 dealers. Large wide open commercial market with a great selection of dealers and booths. If it's new - it's sold here and if it's collected - it's sold here. Food available, restrooms, h/a and lots of walking. Spaces undercover. Space from $14. per day. Rick Waller, 7059 Ramona Blvd, 32205. (800) 583-3532. (904) 751-6770. Osceola Flea & Farmers Market. 2801 Irlo Bronson Memorial Highway. (US Highway 192). 34844/ Hours 8am-5pm throughout the year. 900 booths, usually all rented, all under 1 insulated roof. Free admission and ample paved parking. Lots of new and secondhand merchandise here, souvenirs, produce, and some antiques and collectibles. One of the largest markets in the area. Restaurant, snack bars, h/a. All dealers park at their booth. Storage sheds available. Electric in booths. Fenced for security. A lot of walking here. Space from $17.50 per day. Monthly rate available. c/p Frank Buonauro, Jr. or Monique Cupolo, Manager. 2801 Irlo Bronson Memorial Hwy. 34744. (407) 846-2811 or 846-8314. Fax: (407) 846-3392. 192 Flea Market. Highway 192 at 4301 W. Vine Street. Hours 9am-6pm. Ample parking. Approximately 400 spaces. Wide variety of goods: New merchandise, imports, gifts, souvenirs, decorator items, some collectibles, bric-a-brac, produce, crafts, jewelry. Space from $18. Food court, restrooms, h/a. c/p Charlene Dean, 4301 W. Vine St. 34746. (407) 396-4555. Fax: (407) 396-4518. Lake City Flea Market. Columbia County Fairgrounds. East of I-75 on US Highway 90 at S.R. #247 (Branford Highway). Hours 7am-4pm. Ample parking. Average daily attendance 2,000. Approx 150+ dealers. Antiques, collectibles, jewelry, toys, tools. Snack bar, restrooms, h/a. Market has a general consignment/retail auction on Saturday's. Space from $9 outside. Reservations required for inside space. Camping available. 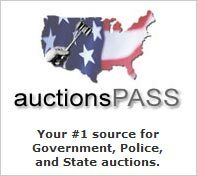 c/p Gateway Auction Service. Box 3331, 32056. (904) 752-1999 or 755-2816. Jeanett's I-10 Flea Market. US Highway 41 N. I-10, exit 43. Hours; 7am until dark. Free adm & ample free parking. New outdoor market with some covered spaces. Approx 100 dealers. Space from 47. Snackbars, restrooms, h/a. (904) 755-6482 or 754-0056. Lakeland Farmers Market. 2701 Swindell Road. Hours 7am-3pm. Ample parking. Approximately 250 dealers. Crafts, collectibles, new merchandise, produce, secondhand merchandise. This is a clean, well managed friendly market. Snack bars, restaurant, h/a. Inside, outside and covered spaces from $9 on Saturday and $14. On Sunday. No overnight parking. c/p Jim Wilbanks, 2701 Swindell Rd. 33805. (941) 682-4809.
International Market World. Highway 92 East. Ample parking. Excellent variety of new merchandise, hot, new, trendy items, and necessary personal and household items at much better prices than the discount houses. Snack bars, restrooms, h/a. This is a clean, well managed and friendly market that is always a pleasure to stop at. An excellent market for commercial vendors. Trail Drive In Theater Swap Meet. Lake Worth road, between Congress Ave and Military Trail. Ample parking. Approximately 250 dealers. New merchandise, sports and fishing items, housewares, tools, sportswear, electronics, gifts, souvenirs, imports. Used merchandise, garage sale items, collectibles, crafts, produce. Snack bar, restrooms, h/a. (561) 965-4318. Ole Red Barn Flea Market. 8750 South 17-92. Hours: 8am to 4pm. Free adm and ample parking. Outdoor market with some covered spaces and approx 25 dealers. Restroom, h/a. Produce market is open daily. c/p Betty Smith, (561) 789-3945. Maitland Flea Market. 1941 Highway 17-92. Market open from daylight until dark. Ample parking. New merchandise, jewelry, coins, electronics, souvenirs, gifts, collectibles. Good all around market. When the Oklahoma Sooners were winning and playing in the Orange Bowl, this market was on my route to replenish the ol' cash sock. Now that Nebraska is an Orange Bowl loser and Miami is not on my approved travel list, I have scratched this market from my list. Snack bar, restrooms, h/a. Some covered spaces, majority of space is outside. (561) 339-2920. Super Flea and Farmers Market. Ample parking. Approximately 250+ dealers on a given day. I-95 Exit 183 and W. Eau Gallie Blvd, 32934. The #1 Market. 11000 NW 7th Avenue. Hours Wednesday 12pm-7pm, Thursday-Saturday 10am-9pm, Sunday 10am-7pm. Ample parking. New and used merchandise, fishing and marine items, housewares, tools, electronics, sportswear, lots of imports. Snack bar, restrooms, h/a. (305) 751-8664. Flagler Flea Market. NW 37th Ave & 7th Street. Flagler Dog Track. Hours 8am-4pm. Admission charge. Adm charge 50 cents. Ample parking. Lots of new merchandise here, sportswear, sports related merchandise, electronics, housewares, outdoor items. approx 500 dealers. Food available, snack bar, restrooms, h/a. This is one of the leading markets in this area. Clean, friendly, well managed market. Market does heavy media advertising in the greater Miami press. Indoor and outdoor spaces with daily and monthly rates. State sales tax laws enforced. c/p Armando Prats, P.O. Box 350940. 33135. (305) 649-3000 or 6431-4504. Fax: (305) 631-4529. 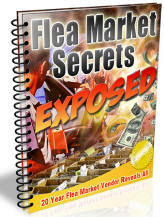 Flea Market USA. 3015 NW 79th Street. Hours Wednesday 12pm-7pm, Saturday 10am-9pm, Sunday 10am-7pm. Ample parking. New merchandise, gifts, souvenirs, imports, sportswear, electronics, housewares, tools, toys. Used merchandise, crafts, collectibles, produce. Snack bar, restrooms,h/a. (305) 836-3677. Hialeah Opa-Locka Flea Market. 12705 NW 42nd Avenue. Hours 5am to 7pm. Ample paid parking. New and used merchandise, crafts, collectibles, produce. Approx 1,000 plus dealers. Great market here. Space from $60. for weekend. Snack bar, restaurants, restrooms, h/a. c/p Scott Miller, 12705 NW 42nd Ave, 33054. (305) 688-0500 or 688-0525. Fax (305) 687-8312. 183rd Street Flea Market. 18200 NW 27th Avenue. Hours, Wednesday and Sunday 10am-7pm. thursday, friday and Saturday 10am-6pm. Ample parking. New merchandise, lots of sportswear, electronics, imports and gifts. Great selection of fine jewelry. Lots of specialty shops. Wednesday & Sunday 10am-7pm, Thursday, Friday & Saturday 10am-6pm. Indoor market with approximately 400 booths. Market does not rent to the traveling dealer. c/p Stanley Gaines, 18200 NW 27th Ave. 33056. (305) 624-1756. 7th Avenue Flea Market's. 14135 NW 7th Avenue. North, & 13995 NW 7th Avenue North. Sister indoor markets operated by one of the leading market promotion company's in the U.S. Mainly permanent leases. New merchandise, sportswear, housewares, electronics, toys, imports, gifts. Market has strong jewelry section, rivaled only by Cartier's in N.Y. Snack bars/restaurant, restrooms, h/a. c/p IBS Flea Markets. 19920 NW 2nd Ave 33169. (305) 685-7721. Jai-Alai Flea Market. 3500 N.W. 37th Avenue. Hours 9am-5pm. Ample parking. Approximately 250 dealers. New merchandise, trendy Florida items, sportswear, electronics, housewares, fishing and marine items. Used merchandise, crafts, produce, collectibles. Food available, restrooms, h/a. c/p Lily Rodriguez. "Worlds Largest Indoor Flea Market". Convention Center. Admission $3.50. One of the premier events in the U.S. Uncommonly large attendance, excellent market for new, crafts and high quality items. There are quite a few new product launch's at this market. Always great pitchmen at this market. This is like attending a great home show without all the builders clutter. Plan to spend all day at this market. Call for schedule. c/p Louis Shelley. 190 NE 199th Street, #203. 33179. (305) 651-9530. Fax (305) 652-2568. Renninger's Florida Twin Markets. Highway 441. ½ mile north of Route 46. Hours 8am to 4pm. Admission charge. Ample parking. Approximately 400 exhibitors. Market strong on quality antiques and collectibles. Produce, new and used merchandise and crafts. One of the best sources for quality items in Florida. Market also holds some special events that are unusually large antique shows. call for dates. c/p Robert Lynch, Box 1699, 32757. (352) 383-3141 or 383-8393. Naples Drive In Theater Flea Market. 7700 Davis Blvd. Highway 84 East. Hours 7am-3pm. Ample parking. Approximately 200 dealers. Lots of new merchandise, electronics, gifts, imports, sports related merchandise, souvenirs. Some collectibles, bric-a-brad, secondhand items. Large farmers market here. Snack bars, restaurant, restrooms, h/a. Outdoor market, space from $6. c/p Jack Naples, 7700 E. Davis Blvd, 33942. (941) 774-2900. Fax: (941) 774-2900. Oak Hill Flea Market. 351 N. Highway 1. Hours: 8am to 4pm. Free adm & ample parking. Indoor market with approx 100 dealers. Snackbar, restrooms, h/a. c/p Sue Perry, (904) 345-3570 or 428-9544. Ocala Drive In Flea. 4850 S. Pine Avenue. Hours 7am-4pm. Ample parking. Approximately 350-400 dealers. wide variety of merchandise including pets, exotic birds and pawn shop. This is always a very interesting market, lots of colorful dealers with interesting booths. Snack bars, clean restrooms, h/a. Space from $10. covered and $8. outside. c/p Lou Williams, 4850 S. Pine Ave. 32671. (352) 629-1325. Handicapped accessible, Live Entertainment,1000 vendors. RV/Tour Buses/Semi's/Lots of Parking Available! Bargain Mart. Intersection of State Road 54 & Gunn Hwy. Hours: 8am to 4pm. Ample parking. Wide range of merchandise and dealers at this market. Complete selection of new lines, used merchandise, collectibles, country and ranch items, outdoor, sporting and fishing items. Crafts, produce. Food available, restrooms, h/a. Dealers if you are planning on selling here, you will need to make reservations early as this is a very popular local market. 600 booths. Space from $9. Per day. Snack bars, hot meals, restrooms, h/a. c/p Barbara Moore, 2317 Gunn Hwy, 33556. (727) 920-3181. The Market Place Flea Market. 3600 Highway 441 South. Market open 7am-4pm. Ample parking. Indoor/outdoor market with all covered spaces. New merchandise, tools, electronics, housewares, sportswear, sports related cards and items, fishing and marine items. Country collectibles, crafts, produce. Approx 450 dealers. On-site camping with laundry and shower rooms, table prices start at $12.00 for one day, Restrooms, snack bar, h/a.. C/p Mindy Schoppmeyer, 3600 hwy 441 South, 34974. Trading Post & Farmers Market. 3100 Highway 441 South. Hours 8am to 3pm. Ample parking. Approximately 150 dealers. New merchandise, electronics, tools, housewares, outdoor items, sporting and fishing items. Used merchandise, collectibles, crafts, decorator items, produce. Lighted driving range, snack bars, clean restrooms, h/a. Outside market with all covered spaces. Space from $13. Per day. (941) 763-4114. Fax: (941) 763-9327. Oldsmar Flea Market. 180 N. Racetrack Road. Market open 9am-5pm. Ample parking. Approximately 1,000 dealers. Antiques, collectibles, new and used merchandise. Many dealers with volume discounts on new merchandise. Discount grocery store on grounds. This market is almost an endless sea of booths, if you can think of it, it is here, somewhere on the grounds. Restaurant with beer, fortunately. Restrooms, h/a and miles of walking. Good, well established and well attended market. Inside and outside space for $10. c/p Oldsmar Flea Market, Box 439. 34657. (813) 855-5306 or 855-2587. Fax: (813) 855-1263. Orlando Flea Market. 5022 S. Orange Blossom Trail. 2 miles South of Highway 441 and I-4 on 441. Ample parking. Approximately 200+ exhibitors. Large commercial market with lots of new merchandise, used merchandise, crafts, produce, collectibles. Snack bar, restrooms, h/a. Space from $8.60. Local license required. c/p Curtis Adams, 2831 Marquise Ct. 32805. (407) 857-0048 or 293-5357. Flea World. Hwy 17-92. Between Orlando and Sanford. Free admission and parking. Average weekend attendance 75,000. Approximately 1,200 booths. 11 food concessions w/seating. Dealers parking at booth. Handicap facilities. Free entertainment. Flea World gold Building. Air conditioned w/96 mini stores. Bingo. Market has many special promotions and is one of the largest attended attractions in Florida. This is an all day stop. For the flea market affeciando this market is more fun than Disney World. I have been to both and like Flea World better. Space from $10. per day. Monthly rates available. Approximately 1,200 booths. Dealers parking at booth. c/p Flea World, Hwy 17-92, Sanford, FL 32771. (407) 330-1792. Flea Market. Central Florida Fair Grounds. 1552 Daly Street. Ample parking. Approximately 300 dealers. Antiques, collectibles, silver, coins, linen, glassware, primitives, some very nice quality items here. Food available, snack bar, h/a. (407) 295-9448. Central Florida Farmers Market. 4603 W. Colonial Drive. Hours 5am until dark. Free adm & parking. Outdoor market with approx 300 dealers. Atniques, collectibles, crafts, produce, furniture, new and used merchandise, lots of bric-a-brac here. Space from $10. per day. c/p John Wild, 1552 Daly St, 32808. (407) 295-9448 or 296-3868. T & W Flea Market. 1717 N. "T" Street. Ample parking, hours 6am-5pm. Approximately 300 dealers. Wide variety of merchandise. New & used merchandise, collectibles, housewares. Produce galore. This market also operates a large wholesale produce market open daily. Snack bars, camping, air conditioned. Inside & outside space available from $10. Reservations required. c/p Red Cotton. 1717 N. `T' St. 32505. (850) 433-4315. Wagon Wheel Flea Market. 7801 Park Blvd. Hours 8am-4pm. Ample parking. Average daily attendance 20,000. Approximately 1100 dealers. Excellent market for all lines. One of the country's largest markets. Market has excellent mix of merchandise from antiques to produce, arts to new merchandise. Market is so big that it has a tram that you can ride around the market in. International food court. Special bargain section with several hundred booths with probably the single best prices in the entire country. Clean restrooms, h/a and lots of walking. A flea market fan could make an entire vacation right here and probably never visit the same booth twice. Space from $9.50 per day. Some covered space. c/p Misty Lynch, 7801 Park Blvd, 34665. (727) 544-5319. Fax: (727) 541-4005. Country Village Flea Market. 3301 Highway 39 North. Highway 39 and Sam Allen Road. Ample parking. Approximately 200 dealers. New trendy merchandise, sportswear, jewelry, sports, fishing and marine items, tools, silver. Used merchandise, locally made crafts, collectibles. Market has one of the largest Wednesday markets in the Tampa area. Space from $5. c/p Ferris Waller. 3301 N. Hwy 39. 33566. (813) 752-4670 752-7088. Festival Flea Market Mall. Step inside this 400,000 square foot shopping Mecca that has been one of South Florida's premier shopping destinations for 15 years. Shop miles of aisles, stores and boutiques which offer trendsetting fashions, accessories, home furnishings and jewelry, just to name a few. Sun Flea Market. 18505 Paulson Drive, junction of U.S. Highway 41 & 776. C/p Ken levy, (941) 255-3532. USA Fleamarket. 11721 US Highway 19. On US 19 at Highway 52. Market open 8am-4pm. Average weekend attendance 30,000. 400 dealers. Live entertainment each weekend. Lots of variety here, tremendous selection of dealers. Restaurant, snack bars, clean restrooms, h/a and lots of walking. Very clean, friendly, well managed flea market. Market does lots of special events. Credit cards accepted. 800 booths. Space from $10 & up. Camping with electricity available. c/p Marie Bruno. 11721 US Hwy 19. 34568. (727) 862-3583. Fax: (727) 862-5724. Flea World. See Orlando listing. St Johns Market Place. Intersection of I-95, exit 94 and Highway 207. Ample parking. Market open 8am-5pm. Approximately 400 dealers. Area's leading market. Antiques, collectibles, crafts, lots of new merchandise, some used merchandise. Snack bars and restaurant, restrooms, h/a. This is a clean, well managed, friendly market that is always a pleasure to visit. Covered spaces and some indoor spaces. Camping available. Space from $11. per day, reservations recommended. c/p St Johns Market Place, Box 1284, 32085. (904) 824-4210. Fax (904) 829-5784. Uncle Bob's Flea Market. 1501 Capital Circle N.W. hours: 9am to 5pm. Free adm & ample parking. Outdoor market with approx 50 dealers. New and used merchandise, garage sale items and bric-a-brac. Space from $7 per day. No food, restrooms. c/p (850) 576-2949. Big Top Flea Market. 9250 E. Fowler Avenue (SR #582) just East of I-75. Open 8am to 5pm. Ample parking 145,000 sq ft shopping area. 550 booths, indoor, covered and enclosed, special antique/collectible area. 5,000 cars can be accommodated on each market day. Market maintains an upbeat festival atmosphere, and is a very pleasant shopping experience. Large crowds and one of the leading markets in the country. Antiques, crafts, plants, clothing, tools, artwork and collectibles. Good food, restrooms, h/a. This is my very favorite market in the entire Bay area. Daily/weekend/monthly rates. c/p Ross Ozimek, 9250 E. Fowler Ave, 33592.. (813) 986-4004 Fax (813) 986-6296. Fun-Lan Swap Shop Flea Market. 2302 E. Hillsboro Ave. Fun-Lan Drive In Theater. Intersection of 22nd Street & Hillsboro Ave. One mile east of Route 275. Hours 6am to 2pm. Free adm & ample parking. Outdoor market and some covered booths. Antiques, collectibles, produce, new and used merchandise. Locally made crafts, sporting goods, fishing & golf equipment. Snack bars, restrooms, h/a. c/p Lauren Duren, Box 11188, 33680. (813) 237-0886. North 301 Flea Market. 11802 highway 301 North. (813) 986-1023. The 50-acre Flea Market was founded in August of 1975. For the past 33 years, Waldo Farmers and Flea market has kept crowds of 35,000 per weekend coming back for more. With over 600 dealers, this is how you save money. You can find bargains on millions of items-new and used. The dealers sell everything from blue jeans to green beans, tools, jewelry, antiques, plants, produce, pet supplies, furniture, accessories and much, much more. Farmers Flea Market. Highway 47 North. Center of town at the county fairgrounds. Hours 8am-3pm. Parking here is a nightmare with the tremendous crowds, walk forever. Average attendance of 10,000+. Average 12-1300 vendors. One of the better wholesale markets in the country with a separate section for new merchandise.This every Monday market is a truly unique `happening'. Large attendance. Unmatched variety of goods. Market covers the entire county fairgrounds. Lots of food here. Food vendors welcome. Crowds are so big you may have to park quite a distance from the market. Miles of walking here and a don't miss stop. Covered spaces. Space from $7. City & County license required. c/p Larry Story, Box 62. 33597. (352) 793-2021 or 793-3551. Webster Westside Flea Market. N.W. Third Street & Route 478. Hours 6am to dark. Free adm and $2. Parking charge. Outdoor market with some covered spaces and approx 500 dealers. Antiques, collectibles, crafts, furniture, electronics, new and used merchandise, produce. Space from $15. Per day. Restaurants, snack bars, restrooms, h/a, lots of walking. c/p Manager 516 NW 3rd St, 33597. (800) 438-8559 or (800) 832-7396.